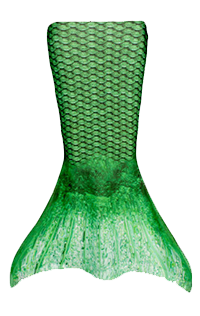 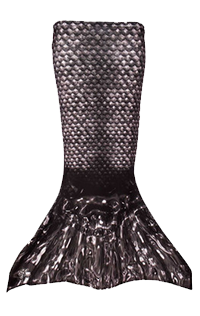 Go mermaiding in the magnificent colors of our Limited Edition mermaid tail, Sapphire Sea! 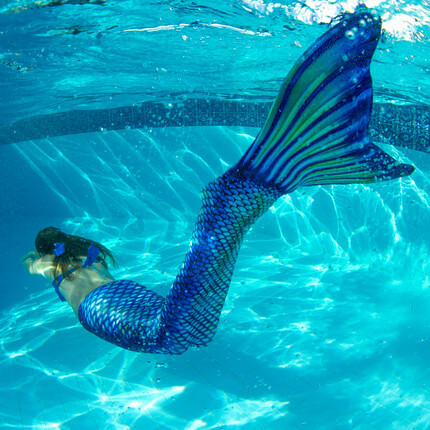 You’ll summon the look of an ocean creature with the natural-looking scales of blue, violet, green, and white—reminiscent of the Jack Dempsey fish. 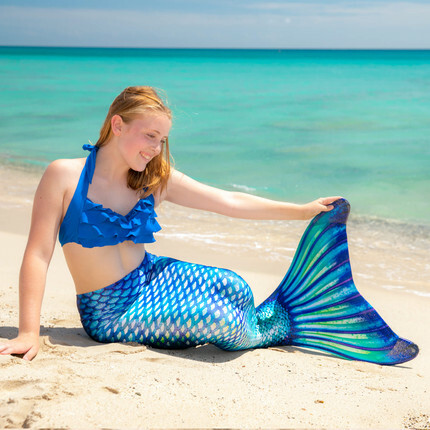 See what materializes when you wear this swimmable mermaid tail of enchanting colors to your next mermaid meetup! 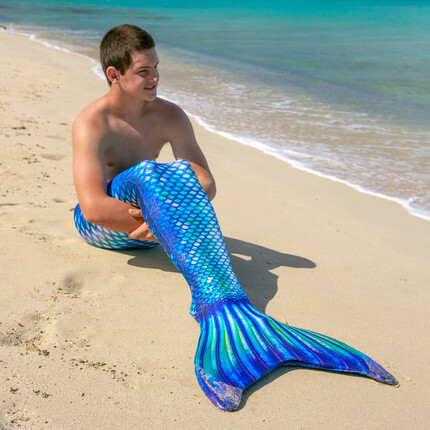 A sparkling layer of glitter upon this mesmerizing tail skin evokes the dreamlike qualities of a mystical mermaid—and it’s available in sizes for kids and adults.